The Aravalli Range, an eroded stub of ancient mountains, is the oldest range of Fold Mountains in India. The natural history of the Aravalli Range dates back to a pre-Indian subcontinental collision with the mainland Eurasian Plate. It is part of the Indian Shield that was formed from a series of cratonic collisions. In ancient times, Aravalli were extremely high but since have worn down almost completely by millions of years of weathering. 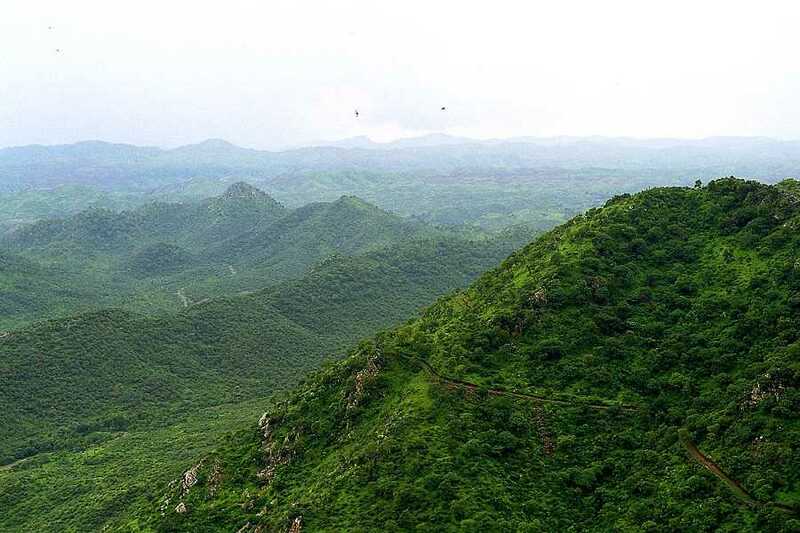 The Aravalli Range joins two of the ancient earth's crust segments that make up the greater Indian Craton, the Aravalli Craton and the Bundelkand Craton generally found in the interiors of tectonic plates. Haryana Aravalli ranges, in the west contains basement rocks that are quartzite with chiastolite, the upper layers of quartz porphyry ring dyke, felsite, welded tuff and muscovite biotite granite rocks have commercially nonviable tin, tungsten and copper. 3. post stone age saw the development of the Kalibangan civilization, 4,000 years old Aahar civilization and 2,800 years old Ganeshwar civilization, Aarayan civilization and Vedic era civilizations. The Aravalli Range has several forests with a diversity of environment.